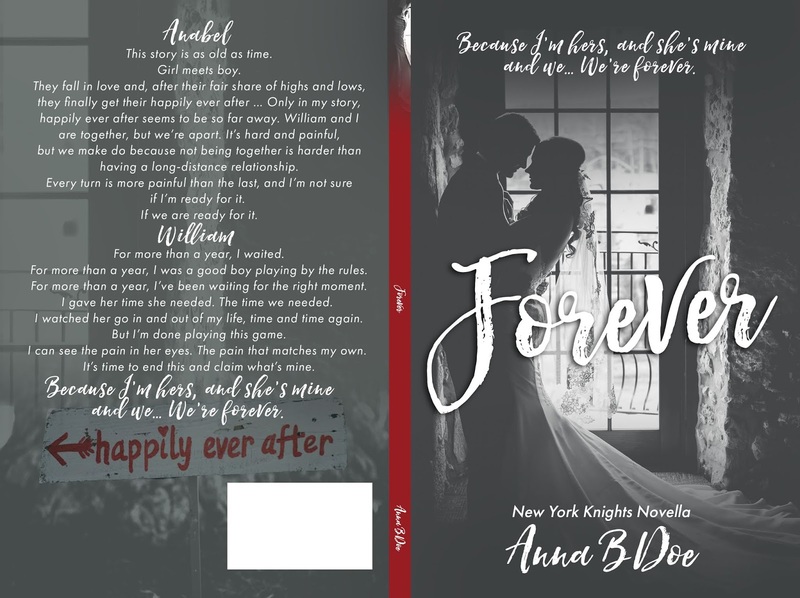 Anabel and William's story is coming to a sweet, beautiful, heartbreaking conclusion in Forever, New York Knights novella! 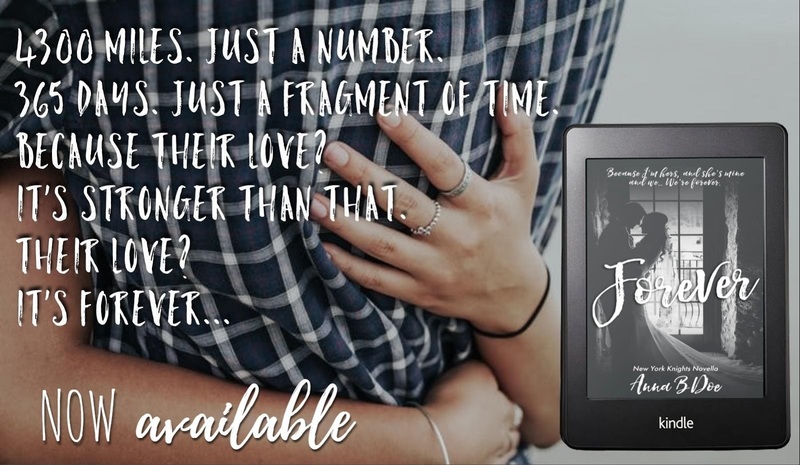 ONE-CLICK or read for #FREE with KU! Even from the distance, I can see her face clearly. Her lips are curled in a big, bright, goofy smile. It’s blinding even from the distance, and I have a feeling I can see tears shine in her eyes. She’s here. The lump in my throat is so big it’s hard to swallow. She came. Even though I know Bel’s busy with studying and exams and what not, she came. For me. Tink is here, on this side of the world, just because she knows how much this means to me. I have only one goal on my mind. Tinkerbell. Get to her. Hold her. Kiss her. This book was the perfect 'conclusion' to this series. You get to see everyone happy and living their HEA and it was just amazing to finally see everyone so happy. 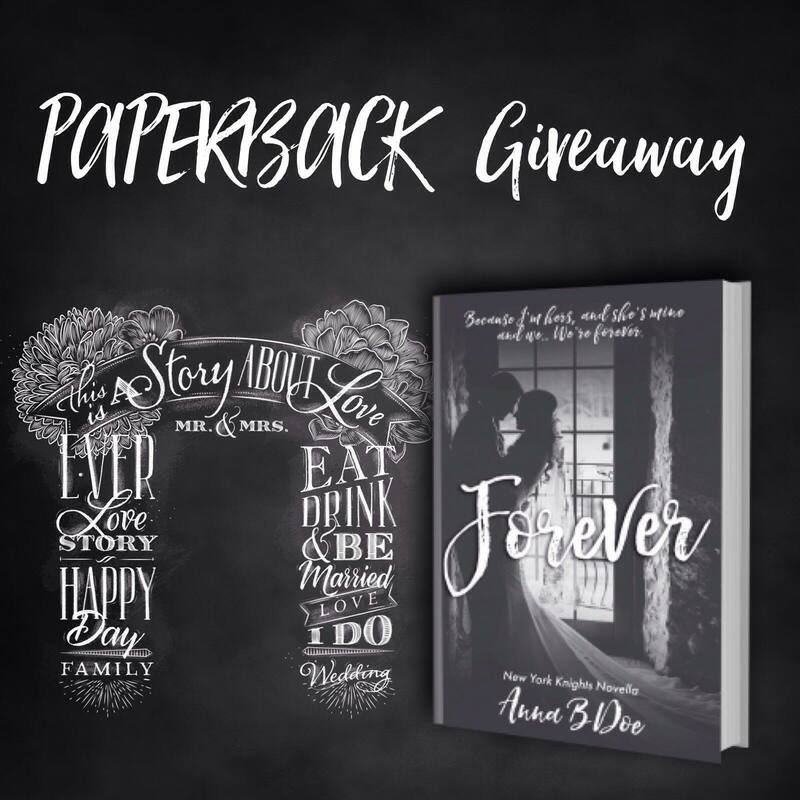 It was beautifully written and truly captivated what it's like to live through a long distance relationship and how hard it is to live far from the person you love. “I want it all with you, Tink. White picket fence, as many kids as you want, a dog or two, rocking chair on the front porch. The whole deal with a bow on top.” Now I can see it in my head clearly. William coming home to me. William sleeping with our baby on his chest. William teaching our son how to throw a ball or playing tea party with our little girl. William and the kids playing with dogs. While it is a continuation of Will & Anabel's story, you get to see everyone else and it was super cute to see how they were doing and what was in the cards for their future. This novella was a true joy to read, specially if you had been missing these characters and if you care for them deeply. It will truly be a bittersweet read because while it is a happy fest, this is a goodbye, at least for now. Will and Anabel pulled me into their orbit from the very first few pages. They had a long road ahead of them, with Anabel being afraid to fall in love with Will, knowing that after her year in the US was up, that she had to leave. But Will being Will, he gave her no choice. He was just so sweet and persistent, that there was just no chance in hell Anabel could survive that year without falling in love with him. William Price confuses me. He makes me question my sanity. He makes me think about things I didn’t think much about before meeting him. He makes me open up, makes me see the girl that is somewhere inside me, and I wasn’t even aware of that up until now. He is—just as I remember confessing last night—dangerous for me. For my heart. For my very soul. I feel for this story and these characters so freaking fast, and I do mean all characters, not just Will and Anabel. The whole bunch of them was amazing, and having read all 3 books in the series, I damn well am gonna miss them. So yeah, it's obvious I recommend this series. 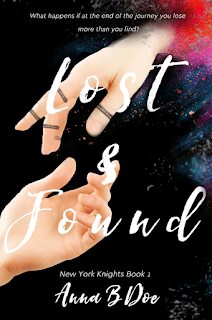 Lost & Found is a slow burn sports/college romance that you'll love. Give these characters a chance because they're worth it.